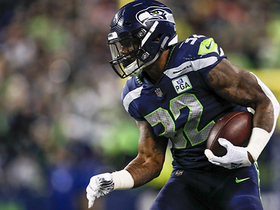 Coach Pete Carroll said Carson will be pushed for playing time by Rashaad Penny, but he expects the pair to form a one-two punch, John Boyle of the Seahawks official site reports. "I don't know who's one and who's two, it doesn't matter to me. I thought both guys did a really good job this year," Carroll said. "There's plenty of room for both guys." Carson generated 20 yards on 13 carries and minus-1 yard on two catches in Saturday's loss to the Cowboys. Carson ran for 122 yards and a touchdown on 19 carries, adding a seven-yard reception during Sunday's 27-24 win against the Cardinals. Carson rushed 27 times for 116 yards and two touchdowns in Sunday's win over the Chiefs. Carson rushed 22 times for 119 yards and a touchdown in Sunday's overtime loss to the 49ers. He also caught all six targets for 29 yards. Analysis: Carson found the end zone for the fourth time in five games by punching in a one-yard score early in the fourth quarter to tie the game at 20. 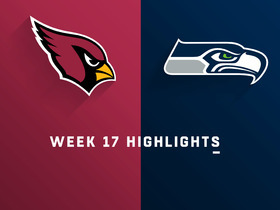 Without Rashaad Penny (knee) in the equation, Carson dominated the backfield while Mike Davis and J.D McKissic combined for just seven carries. The second-year pro capitalized on his opportunity and produced career bests with six catches and 148 scrimmage yards. 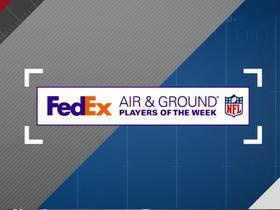 Carson will look to keep the momentum rolling when the Seahawks host the Chiefs in Week 16. Carson rushed 22 times for 90 yards and a touchdown in Monday's win over the Vikings. Analysis: Carson was the leader in the backfield once again, doubling up the 11 carries Rashaad Penny and Mike Davis combined for. 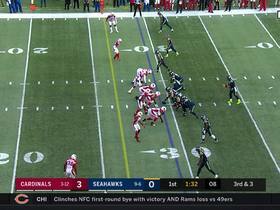 The Seahawks rushed Carson six times on their final offensive drive in the fourth quarter, and he rewarded their decision, punching in a two-yard score -- the eventual game-winner -- to make it a two-possession game. Carson and the Seahawks will head to San Francisco in Week 15. Carson (finger) was a full practice participant Friday, John Boyle of the Seahawks' official site reports. Analysis: Recovering from a dislocated finger, Carson started the week limited before quickly upgrading to full participation. It's possible the Seahawks reduce his pass-catching work in Monday's game against Minnesota, but he should be fine to handle his usual role as the lead ballcarrier. Carson (finger) practiced in a limited capacity Thursday, Bob Condotta of The Seattle Times reports. Carson expects to be fine after dislocating his finger in Sunday's 43-16 win over the 49ers, Bob Condotta of The Seattle Times reports. Carson left Sunday's game against San Francisco in the fourth quarter to have X-rays on a finger injury, Curtis Crabtree of Sports Radio 950 KJR Seattle reports. Carson rushed 16 times for 55 yards and a touchdown in Sunday's win over the Panthers. He also caught both targets for eight yards. Analysis: Carson didn't have a flashy game with just 3.4 yards per carry and a long rush of 16 yards, but he punched in a one-yard score late in the second quarter to tie the game. 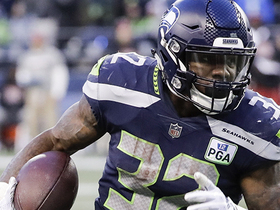 The second-year pro was a clear leader in Seattle's backfield over rookie Rashaad Penny and Mike Davis, who combined for just eight carries for 18 yards. Carson will look to get the motor turning in Week 13 against a tough 49ers' run defense. Carson rushed 17 times for 83 yards and a touchdown in Thursday's 27-24 win over the Packers. Analysis: In his return from a hip injury, Carson fumbled the ball on his first carry. The second-year pro bounced back, though, with more rushes than both Rashaad Penny (eight) and Mike Davis (four) combined. The Seahawks played from behind for most of the contest, but Carson still managed a worthy workload despite not receiving a passing target. He'll get extra rest ahead of Week 12's contest versus the Panthers, who rank ninth in the league with 99.0 rushing yards allowed per game. Offensive coordinator Brian Schottenheimeer said Carson (hip) will serve as the team's starting running back in Thursday's game against the Packers, Brady Henderson of ESPN.com reports. Carson (hip) was a full practice participant Tuesday, John Boyle of the Seahawks' official site reports. Analysis: Carson was a limited participant at Monday's walkthrough, although coach Pete Carroll did indicate the running back would be available for Thursday's game. The 24-year-old was unable to suit up for Sunday's loss to the Rams due to the left hip issue but, barring a setback Wednesday, appears ready to take on a Packers defense that allows 120.9 rushing yards per game and 4.5 yards per carry, both of which rank in the bottom half of the league. Carson (hip) was limited at Monday's walk-through, John Boyle of the Seahawks' official site reports. Coach Pete Carroll said Monday that Carson (hip) "will be ready" for Thursday's game against the Packers, Bob Condotta of The Seattle Times reports. Coach Pete Carroll didn't provide any indication Monday about Carson's chances of returning from a hip injury for Thursday's game against the Packers, Mike Vorel of The Seattle Times reports. Analysis: Carson didn't practice at all last week and was held out of Sunday's 36-31 loss to the Rams. It's hard to say if he'll be ready four days later, but we do know that the Seahawks can afford to take a cautious approach after getting strong performances from both Mike Davis and Rashaad Penny on Sunday. There's a very real chance Carson finds himself in a committee whenever he is ready to play again. Carson (hip) is inactive for Sunday's game against the Rams, John Boyle of the Seahawks' official site reports. Analysis: Carson will be sidelined for the second time this season after he aggravated a hip injury and was forced to exit early in the Week 9 loss to the Chargers. Though coach Pete Carroll noted Carson's condition had improved in recent days, the running back failed to practice in any capacity this week, which likely influenced the Seahawks' decision to make him inactive. With Carson out, Mike Davis is slated to head the team's backfield while Rashaad Penny and C.J. Prosise serve in complementary roles. Carson (hip) is listed as questionable for Sunday's game against the Rams but isn't expected to play, Adam Schefter of ESPN reports. Analysis: The Seahawks won't make a final decision on Carson's status until evaluating him in their pregame warmup, but it's looking likely that he'll be inactive for the second time this season after aggravating the lingering hip injury in the Week 9 loss to the Chargers. Assuming Carson is out of the mix, Mike Davis would likely start at running back and handle the bulk of the carries, while rookie Rashaad Penny would benefit from an enhanced snap count as well. Carson (hip) was listed as a non-participant in Friday's practice, Curtis Crabtree of Sports Radio 950 KJR Seattle reports. Carson (hip) is listed as questionable for Sunday's road game against the Rams, Curtis Crabtree of Sports Radio 950 KJR Seattle reports. Coach Pete Carroll suggested Carson (hip) will be a game-time decision Sunday against the Rams, Brady Henderson of ESPN.com reports. Analysis: Carson was held out of practice Wednesday and Thursday after aggravating his hip injury during the first half of Sunday's 25-17 loss to the Chargers. He'll likely be a limited participant if he returns to practice Friday, with a "questionable" designation on the final injury report all but inevitable. Mike Davis will be in line for a hefty workload if Carson is ruled out prior to Sunday's 4:25 ET kickoff. Carson (hip) didn't participate in practice Thursday, John Boyle of the Seahawks' official site reports. Carson (hip) isn't practicing Wednesday and will be re-evaluated Thursday, Gregg Bell of The Tacoma News Tribune reports. Coach Pete Carroll said Monday that he considers Carson (hip) "day-to-day," Bob Condotta of The Seattle Times reports. Seahawks coach Pete Carroll didn't say whether Carson's hip/groin injury could impact the running back's availability for Week 10 against the Rams, Bob Condotta of The Seattle Times reports. Analysis: Carson was a gametime decision ahead of Sunday's 25-17 loss to the Chargers, ultimately taking eight carries for 40 yards before he aggravated his injury and sat out the second half. Mike Davis took advantage to the tune of 15 carries for 62 yards and seven receptions for 45 yards, while Rashaad Penny chipped in 24 yards on seven touches. Carson will almost certainly be listed Wednesday when the Seahawks release their initial injury report for a Week 10 game at Los Angeles. Carson (hip) is doubtful to return to Sunday's contest against the Chargers, John Boyle of the Seahawks' official site reports. Carson (hip) is active for Sunday's game against the Chargers. The Seahawks continue to view Carson (hip) as a game-time decision in advance of Sunday's tilt with the Chargers, Adam Schefter of ESPN reports. Carson will test out his injury in a pre-game workout before a decision on his status is made, a source told Schefter. The Seahawks continue to view Carson (hip) as a game-time decision in advance of Sunday's tilt with the Chargers, Adam Schefter of ESPN. Carson will test out his injury in a pre-game workout before a decision on his status is made, a source told Schefter. Coach Pete Carroll suggested Carson's (hip) status may come down to a game-time decision Sunday against the Chargers, Brady Henderson of ESPN.com reports. "[Carson]'s just got a little groin thing he's feeling," Carroll said after Friday's practice. "He got through the day. He practiced every day this week. We've just got to make sure on game day that he's OK. If not we'll go with other guys and move forward." Carson (hip) is listed as questionable for Sunday's game against the Chargers, Curtis Crabtree of Sports Radio 950 KJR Seattle reports. Analysis: Carson was a mid-week addition to the injury report as a limited participant in Thursday's practice. It's more concerning because he missed a game with a hip injury earlier this season, but there hasn't been any report to suggest the recent aggravation is serious. Another update on Carson will come when the Seahawks release Friday's injury report, which will shed light on how much the running back was able to do during practice. Carson was limited at Thursday's practice due to a hip injury, John Boyle of the Seahawks' official site reports. Analysis: Carson has three 100-yard efforts in his last four appearances, but the aforementioned hip issue was actually the reason for his absence Week 4 against the Cardinals. 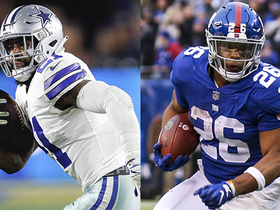 As a result, Friday's injury report will be of utmost interest to get a sense of the likely primary running back for Sunday's game against the Chargers. If the Seahawks end up not calling Carson's name, Mike Davis would be the top candidate to lead the backfield this weekend, though rookie Rashaad Penny also would be on hand. 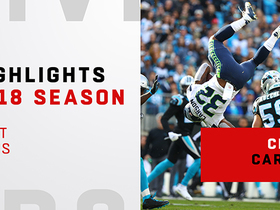 With his unique style of hurdles, flips and old school power, Chris Carson racked up 1,151 rushing yards and 9 touchdowns in 2018. Here is a look at his best runs on the year. 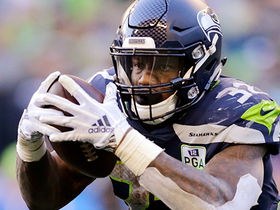 NFL Network's Jane Slater discusses how the Dallas Cowboys are game planning defensively for Seattle Seahawks running back Chris Carson. 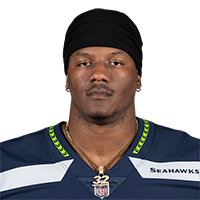 NFL Network's Nate Buleson predicts that Seattle Seahawks running back Chris Carson will have a breakout performance in the playoffs. 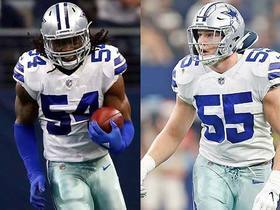 NFL Network's Gregg Rosenthal reveals which matchup he's looking forward to watching in the playoff showdown between the Seattle Seahawks and Dallas Cowboys. 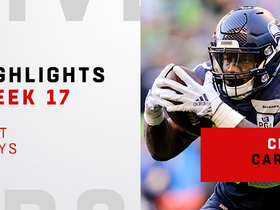 Watch the best plays from Seattle Seahawks running back Chris Carson in his Week 17 victory against the Arizona Cardinals.